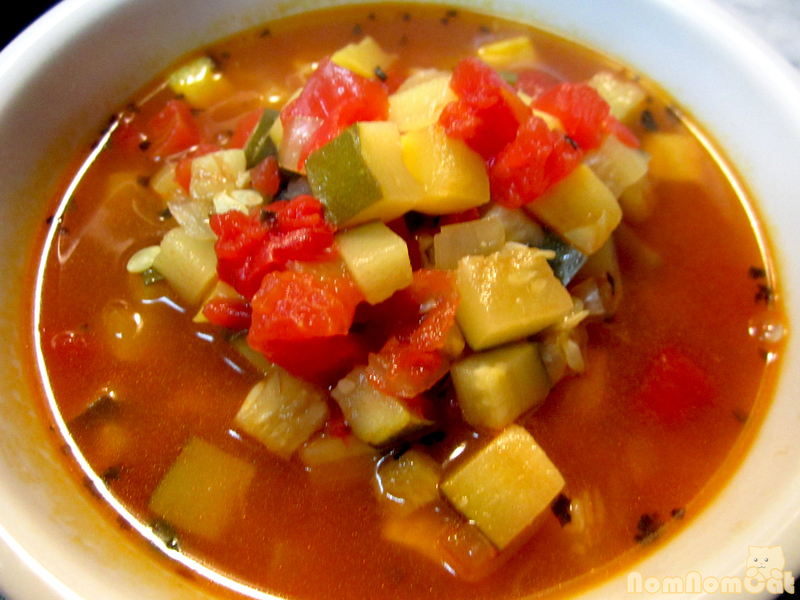 Minestrone. 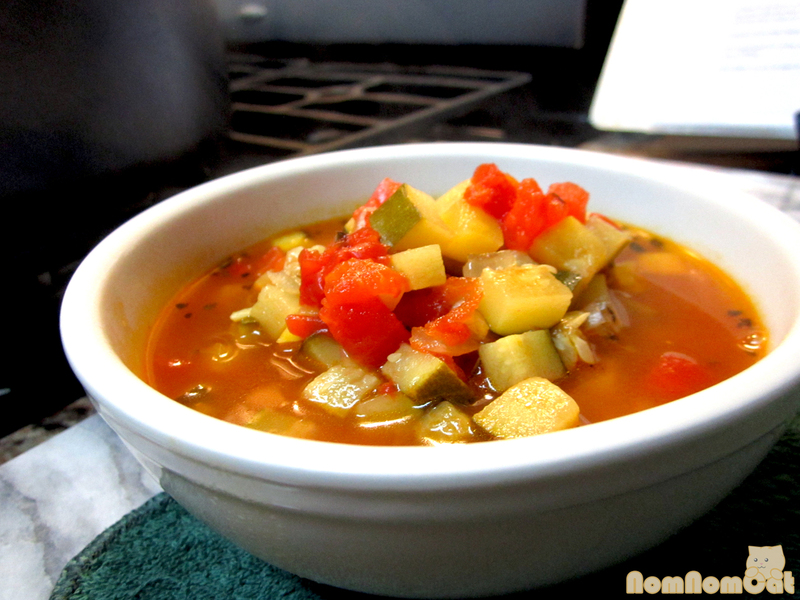 A classic Italian vegetable soup, I see minestrone offered everywhere — served alongside sandwiches at small cafes, as the zuppa di giorno (“soup of the day” in Italian) at a hole-in-the-wall ristorante, by the ladle-full in salad bars, and even out of a can. Made with seasonal and available vegetables, every batch is different. 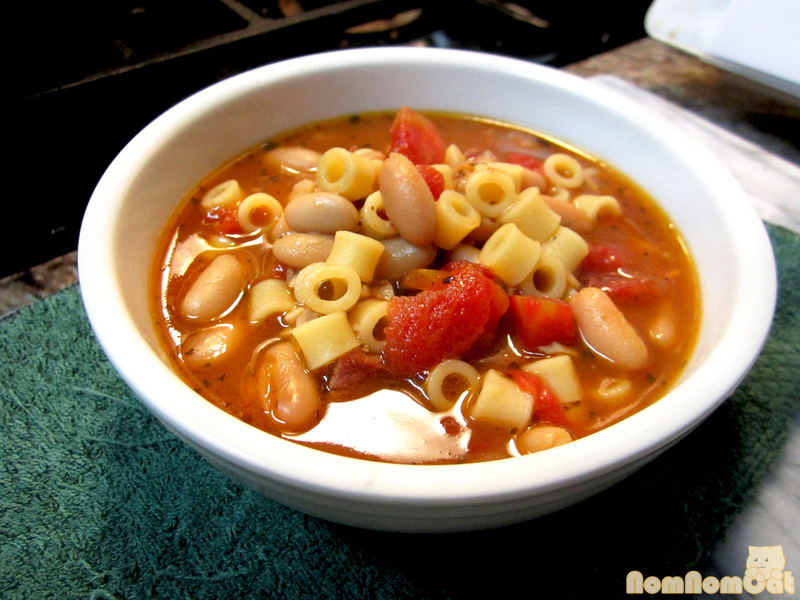 But one thing is for sure – the final product is hearty, comforting, and packed with nature’s bounty. 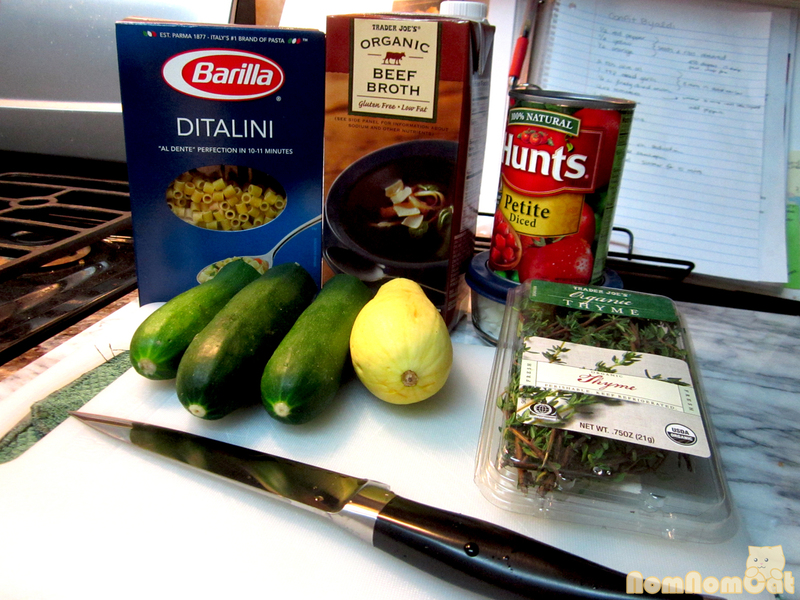 1/2 lb small pasta, like ditalini, stars, orzo, etc. Step 1: Heat a stock pot over medium-high heat. 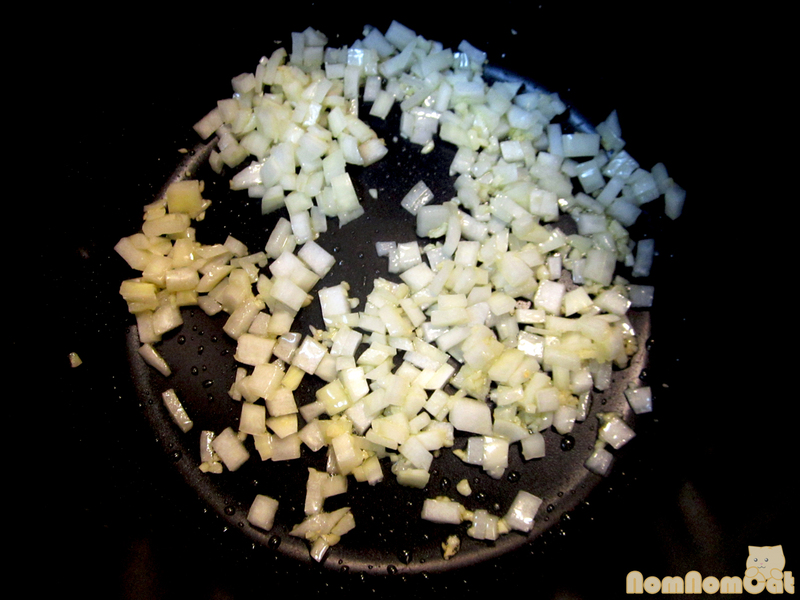 Saute the garlic and onions in a bit of olive oil until translucent. 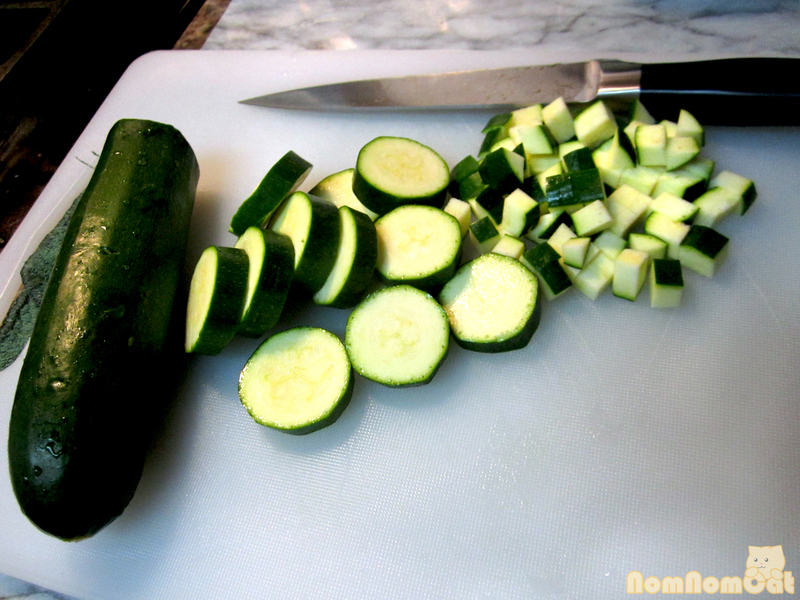 Step 2: Prep the vegetables, dicing them into evenly diced cubes. 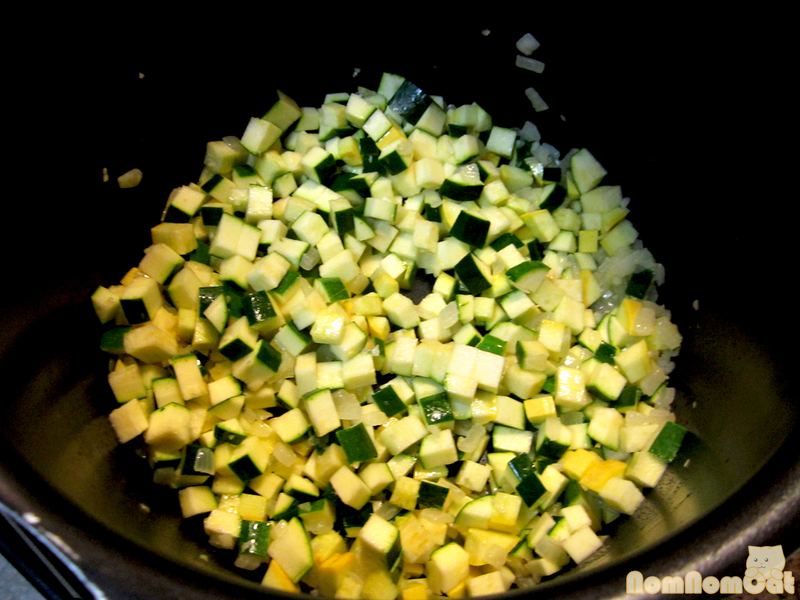 Step 3: Add the vegetables and saute with a sprig of fresh thyme for a few minutes until softened and aromatic. Season with salt and pepper. 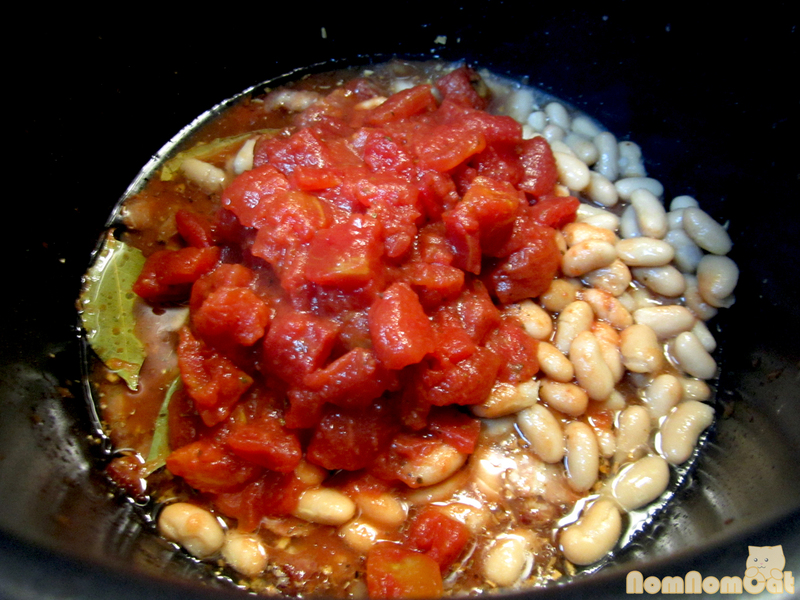 Step 4: Pour in the canned tomatoes (including the juices) and toss in one or two additional sprigs of fresh thyme along with the bay leaves. Step 5: Add the stock and bring to a boil, tasting and seasoning as you go. 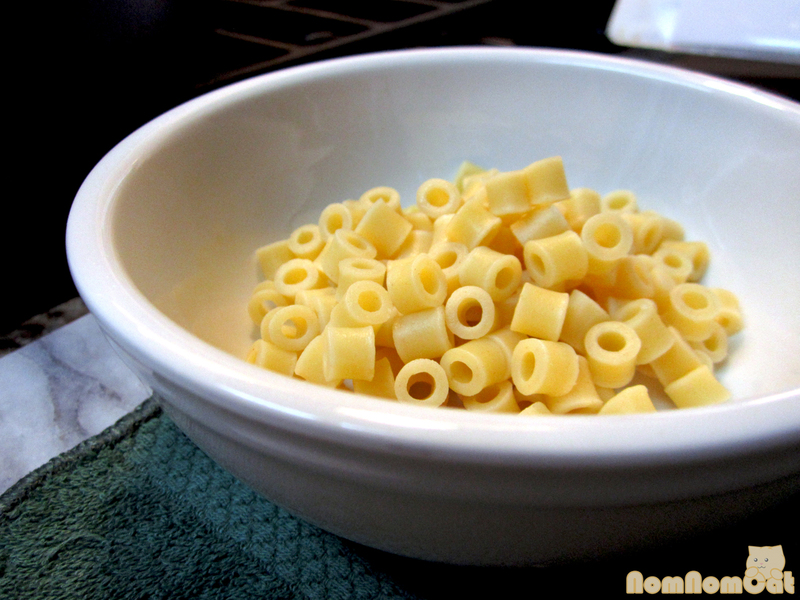 Step 6: In a small pot, boil salted water and cook the pasta according to package instructions. Step 7: When the broth has come to a boil and the vegetables are tender but not mushy, it’s ready to go. In each bowl, portion a scoop of pasta, about 1 cup. 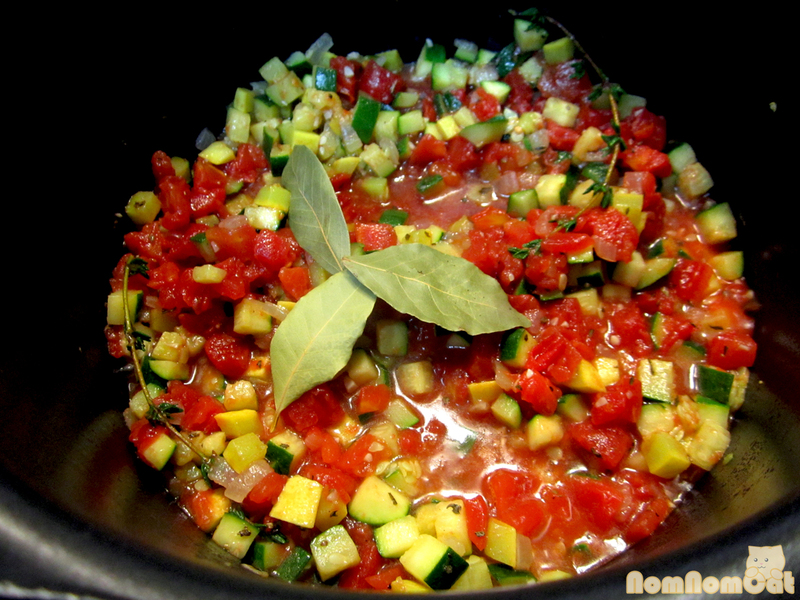 Ladle the broth and vegetables over the pasta and serve immediately. 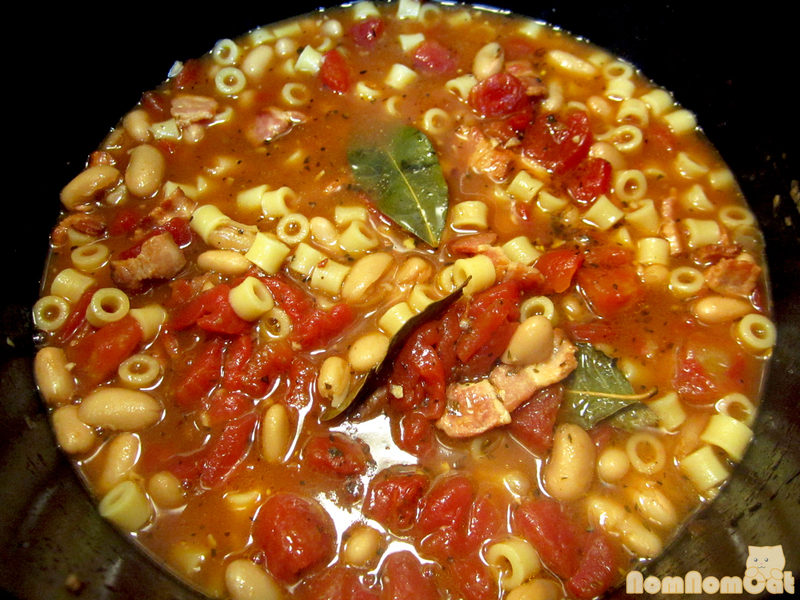 Makes about 4 hearty servings, perfect for a cold wintery night. Because you know, anything below 75 degrees Fahrenheit counts as “wintery” here in LA. “When the stars make you drool, just-a like pasta fazool, that’s amore…” It has been getting pretty chilly around here, and you know what that means –’tis the season for soup! We make lots of chicken based soups, but sometimes, you’re just in a mood that only a bacon and beef based broth can satisfy. 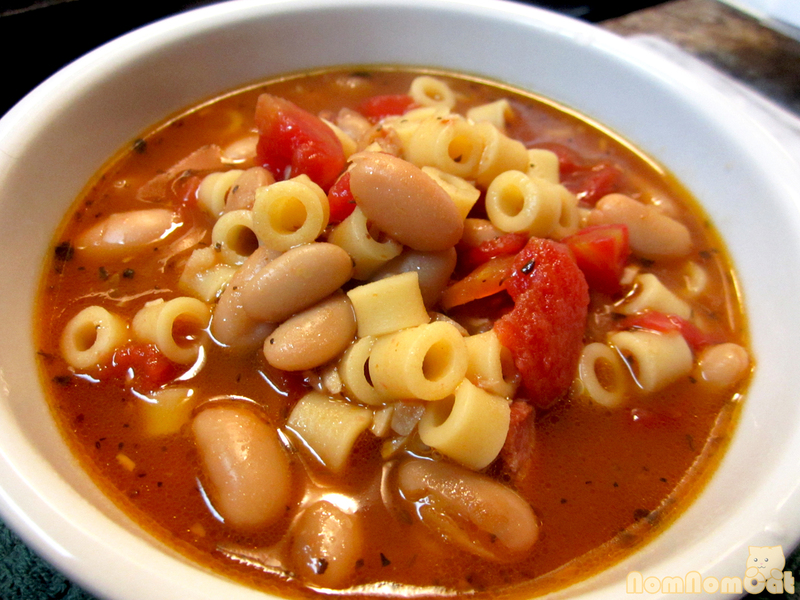 Pasta e fagioli, literally “pasta and beans” in Italian, is a simple soup that’s packed with flavor. It’s also surprisingly easy and plus, I’ll bet you can’t help but hum Dean Martin’s That’s Amore as this simmers on the stove. Step 1: I like to use the same cutting board whenever I can, so first, mince the garlic and set aside. 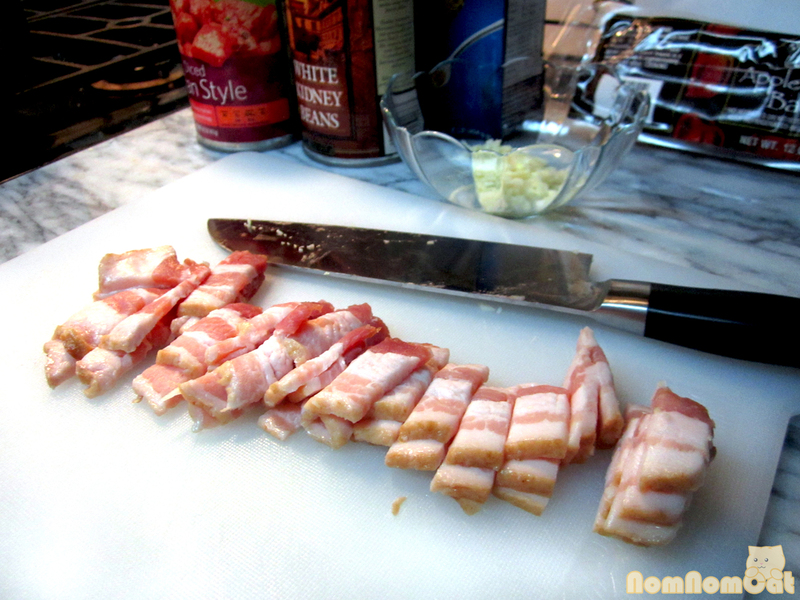 Take out the bacon strips and cut into large lardon-like pieces. Step 2: Heat a stock pot over high heat. 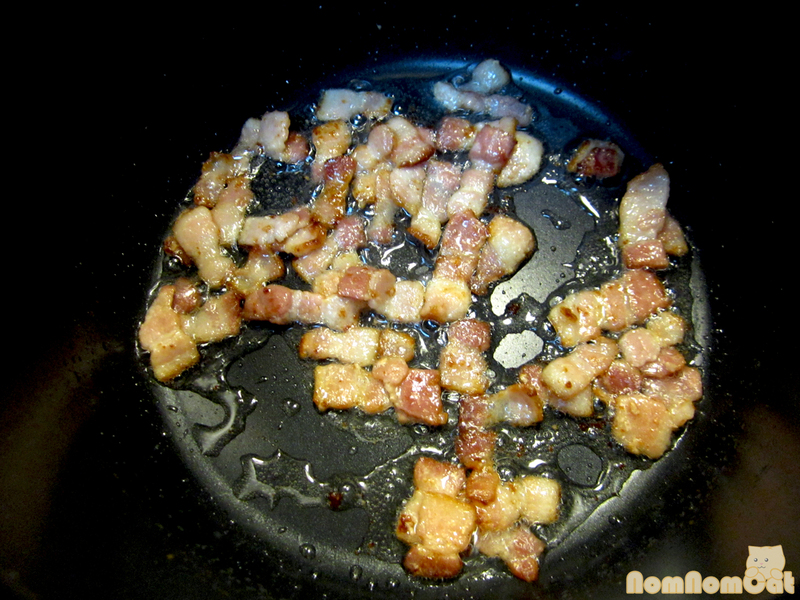 Saute the lardons and render the fat. 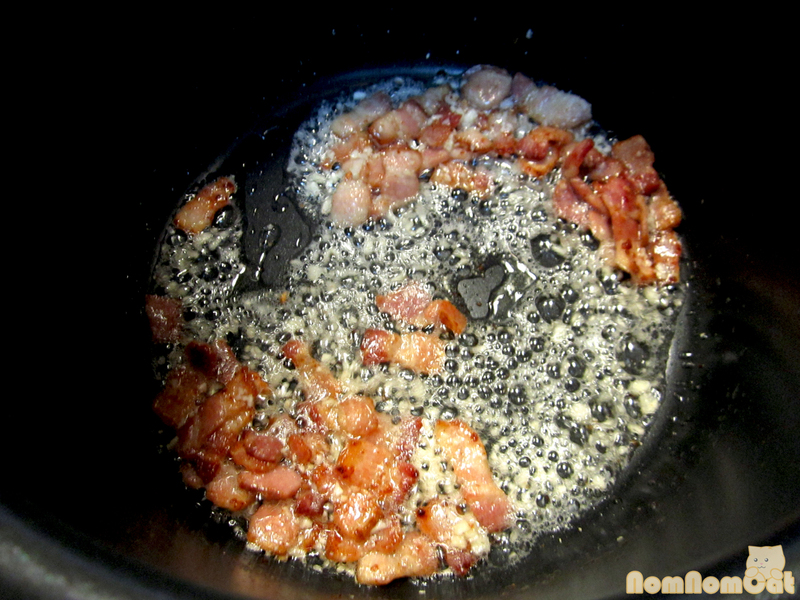 Step 3: When the bacon has cooked through, add the garlic. 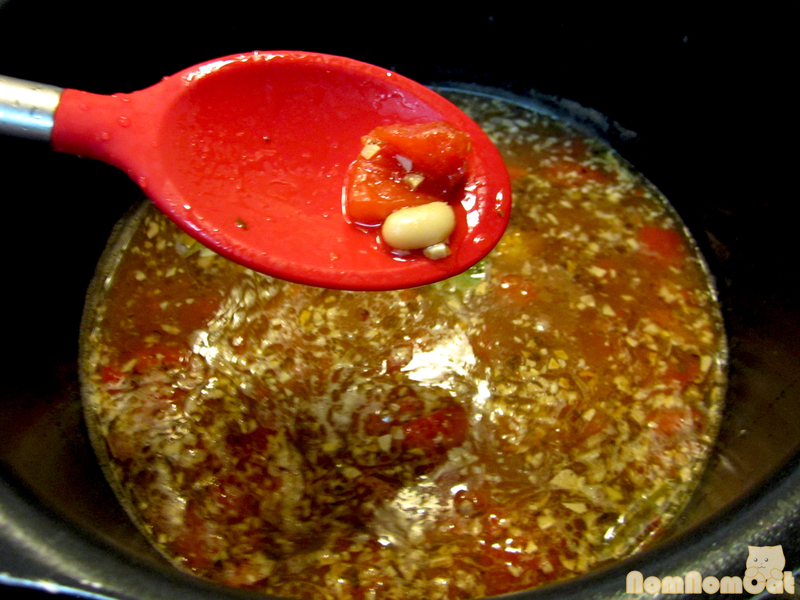 Once the garlic has just barely started to brown, sprinkle in the herbs and red pepper flakes, if desired. 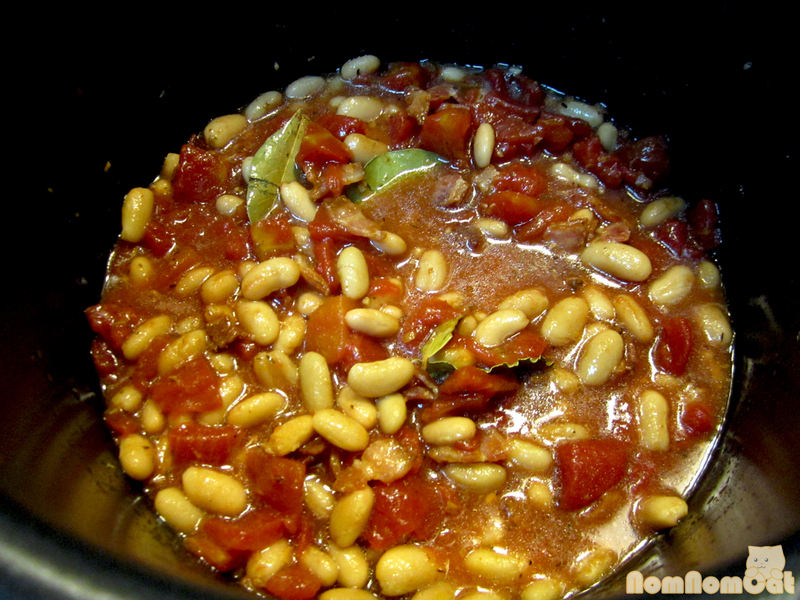 Step 4: Add both the tomatoes and cannellini beans. Mix around and heat on medium / medium-high for a few minutes. Step 5: Pour in the beef stock and cover to quickly bring to a boil. Step 6: Once the soup has reached a boil, add in the pasta. This is also a good chance to taste the soup and season as needed. 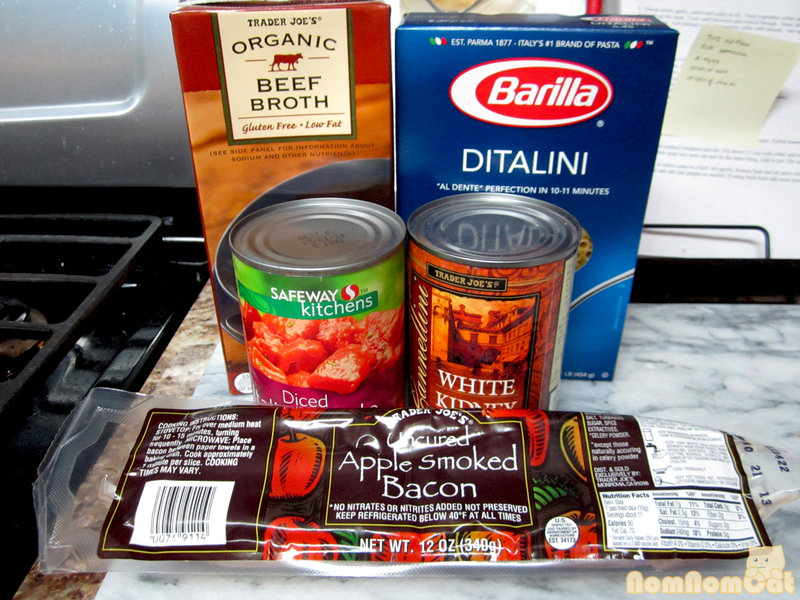 Keep in mind that the stock and bacon are inevitably salty. 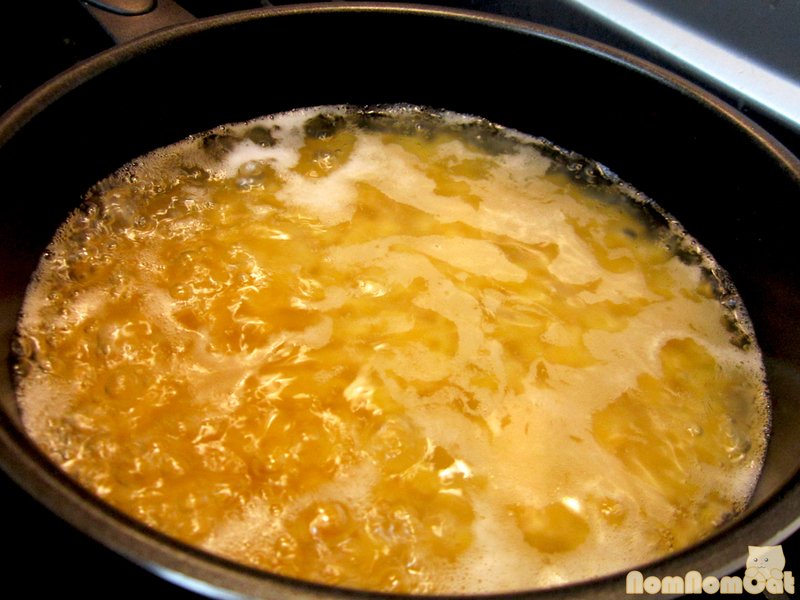 Step 7: Continue to simmer for about 10 minutes or until the pasta reaches al dente texture. Serve immediately. I know we’re still celebrating autumn, but mid-November also means that Winter is Coming. (Game of Thrones, anyone?) After all, Starbucks has already switched to their festive red coffee cups and serving up Peppermint Mochas and Eggnog Lattes, so why can’t we start mixing up some colorful and holiday-themed cocktails too? 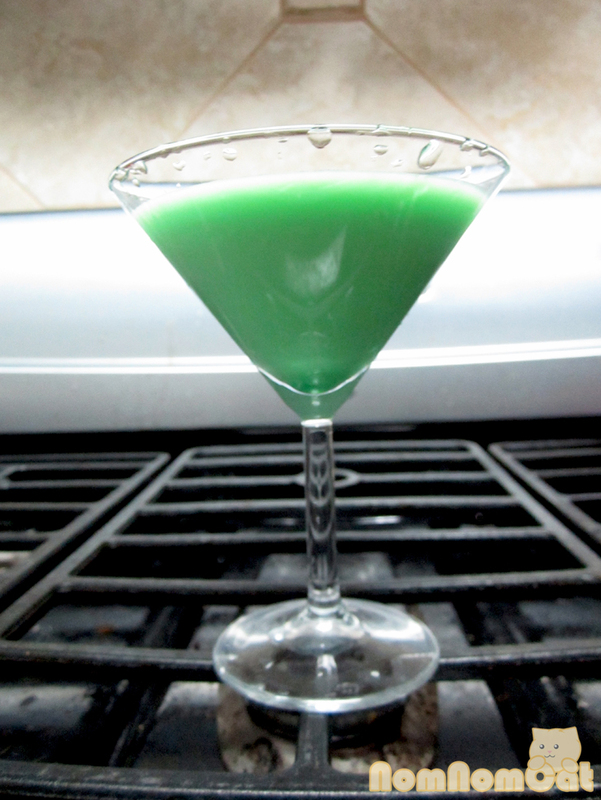 Cue the bright green, minty Grasshopper. Shake well with ice in a cocktail shaker. Strain and pour into a martini glass. Easy peasy! 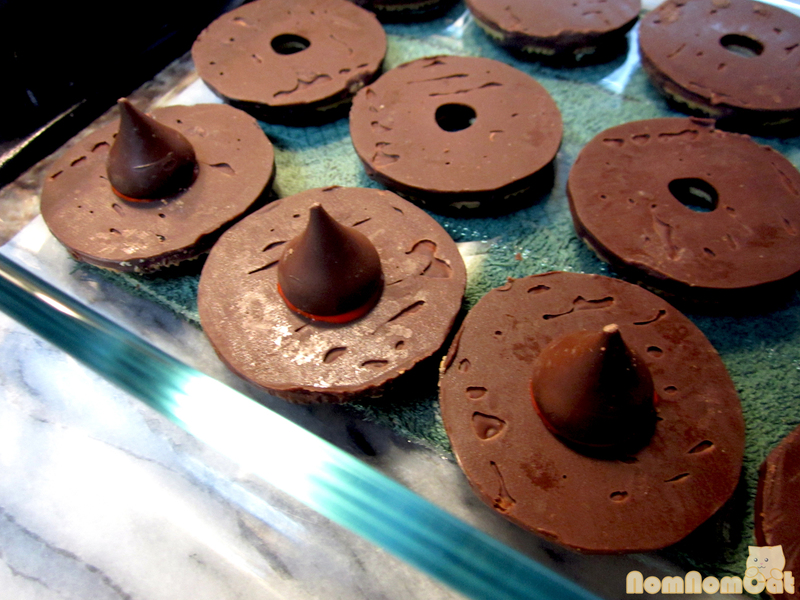 Whip up a batch of these for your next holiday party and toast to the drink of choice of Raj on The Big Bang Theory. Enjoy what he likes to call a “sweet, green miracle” (to help enable him to talk to women). Cheers! 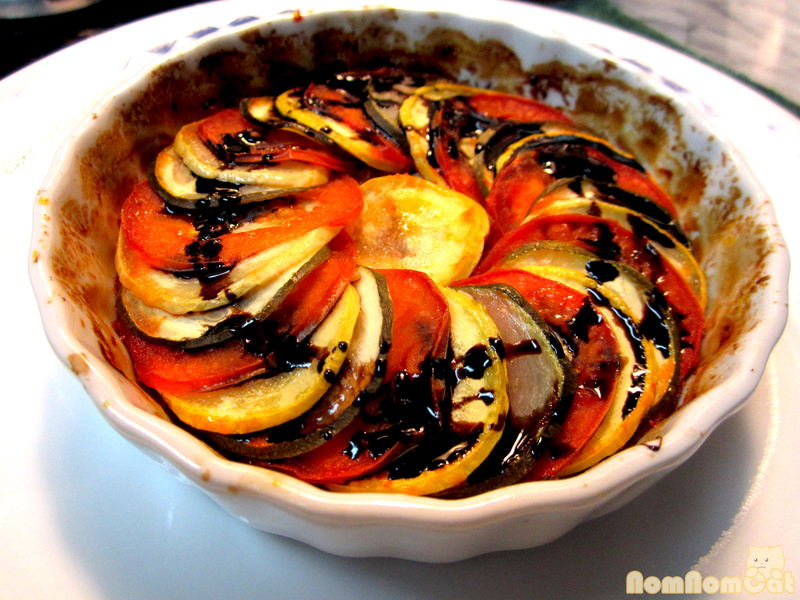 Okay friends, so a few weeks ago, we brought you our quick and easy version of the ratatouille from the Disney/Pixar movie Ratatouille. 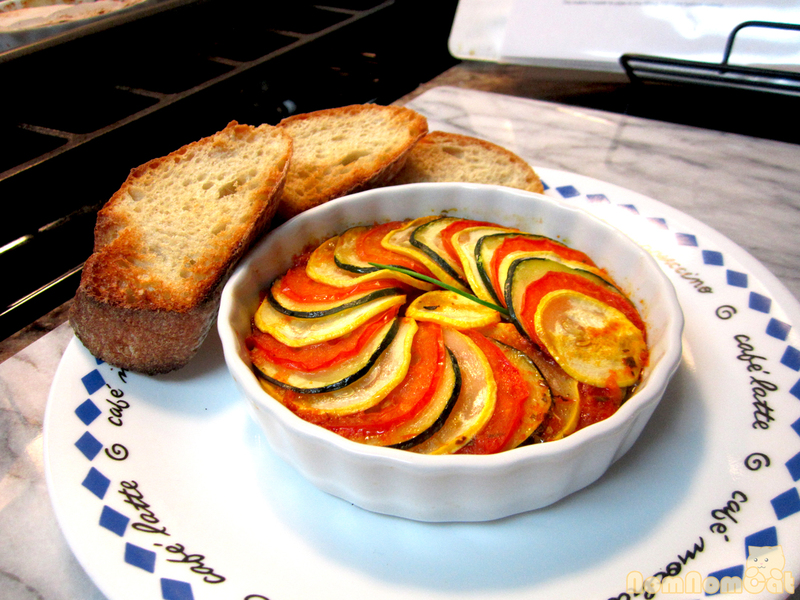 Not content to have replicated the dish mainly in appearance and less so in taste, I decided to tackle the daunting recipe for confit byaldi by the master himself Thomas Keller, the culinary consultant for the movie. 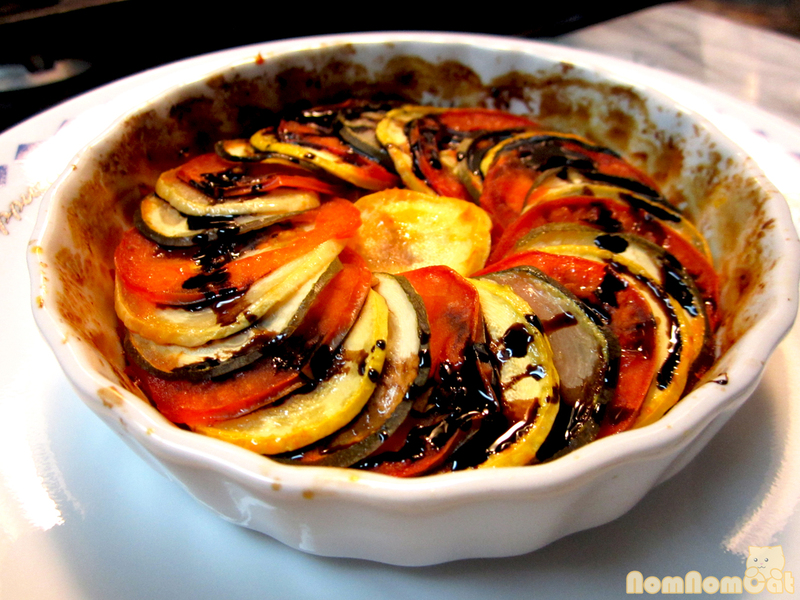 In that sense, his recipe is Remy’s ratatouille, so I just had to try it his way. 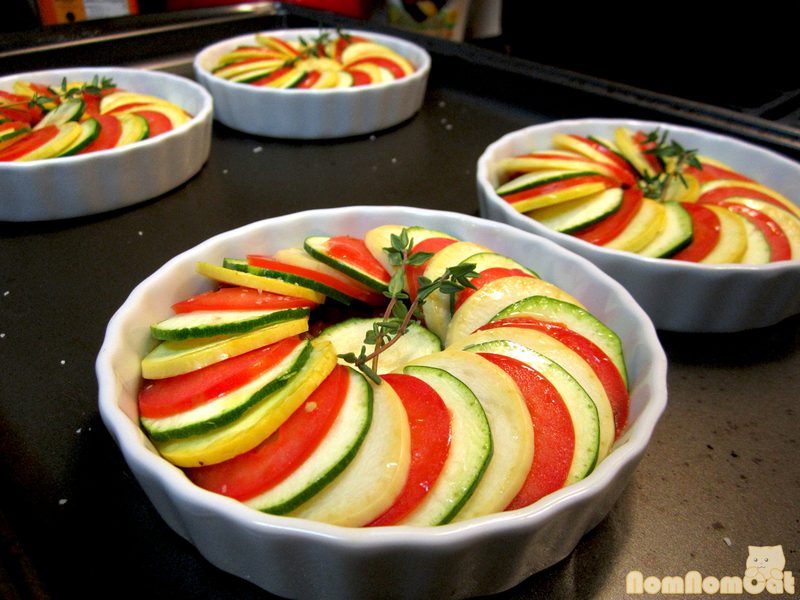 It looks very similar in appearance (and I’ve found that it takes great patience to arrange those concentric slices while your stomach’s growling), but the flavor… it was like the scene in the movie when Remy’s taste buds figuratively exploded from his sensory bonanza. So vastly different in the best way. As you may notice just from looking at the photo, slicing the vegetables, arranging them in overlapping layers, drizzling with olive oil, sprinkling with salt, garnishing with thyme, topping with parchment circles, and baking for 40 minutes at 375 degrees are all the same as my first version, so in this post, I am going to focus more on the piperade and balsamic reduction, two elements that played a huge role in the dramatic, bold flavors that truly brought out the sweetness and earthiness of the vegetables themselves. First, preheat the oven to 450 degrees. 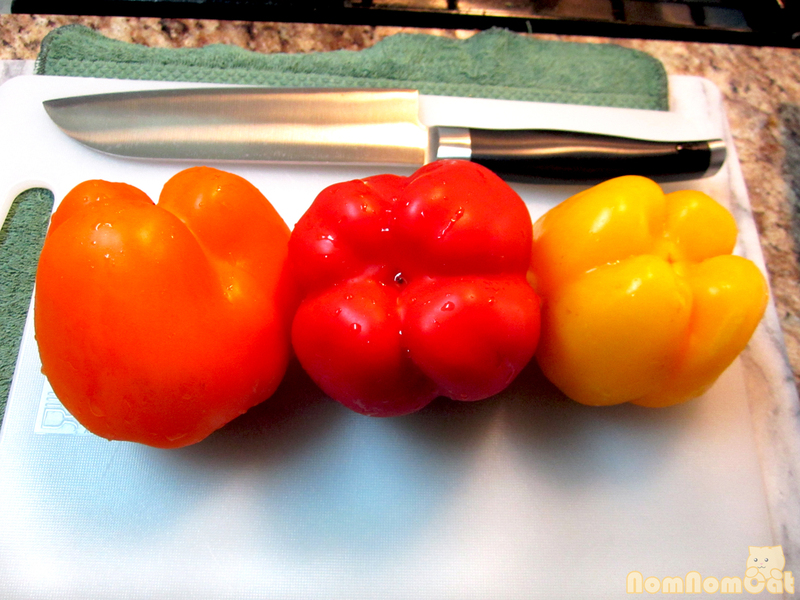 Remove the seeds and ribs (the white flesh) from the bell peppers. Arrange on a baking sheet cut side down. 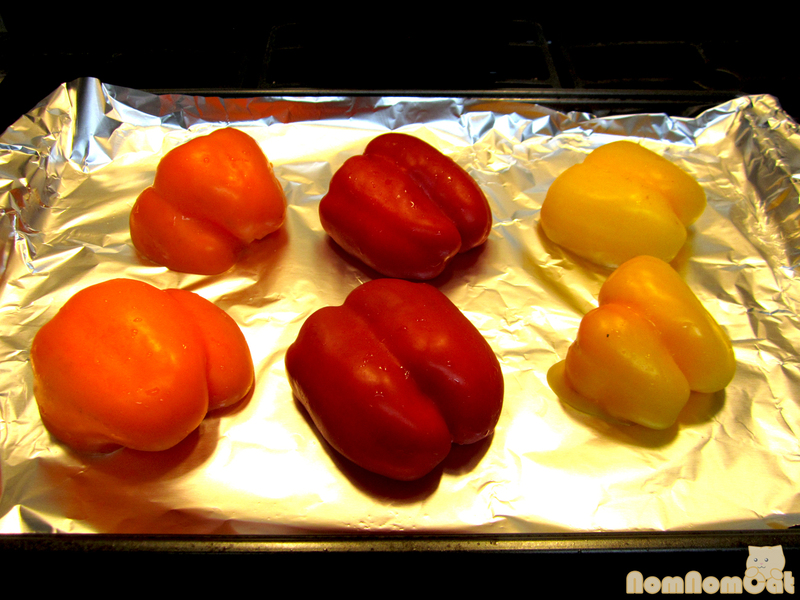 Roast until the skin pulls away from the pepper and the edges blacken, about 15 minutes. Meanwhile, in a large skillet, heat the olive oil. 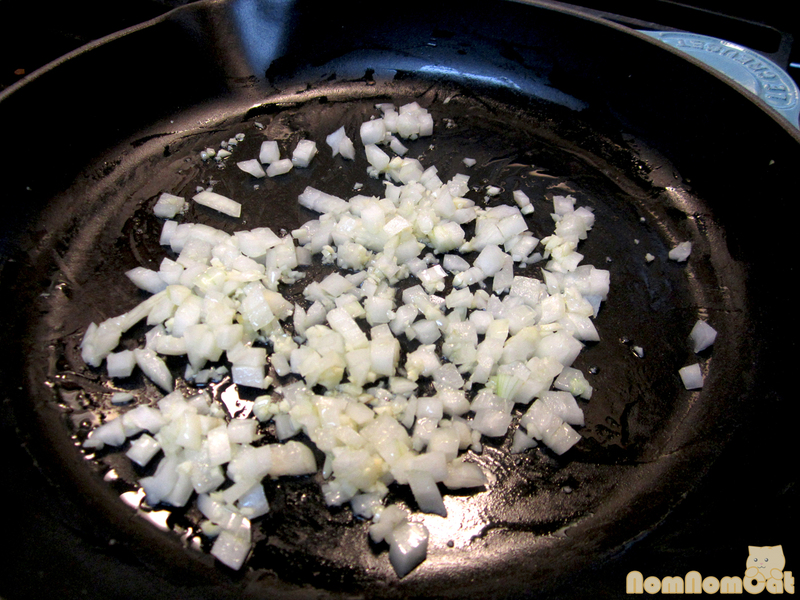 Saute the garlic and onions until the onions are softened and translucent, about 10 minutes. 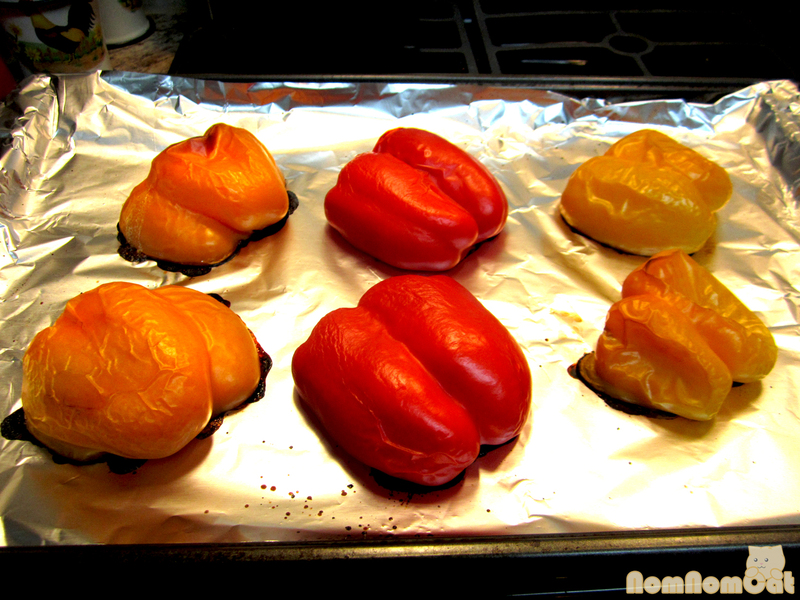 When the peppers are done, pull them out of the oven and set them aside until they are cool enough to handle. 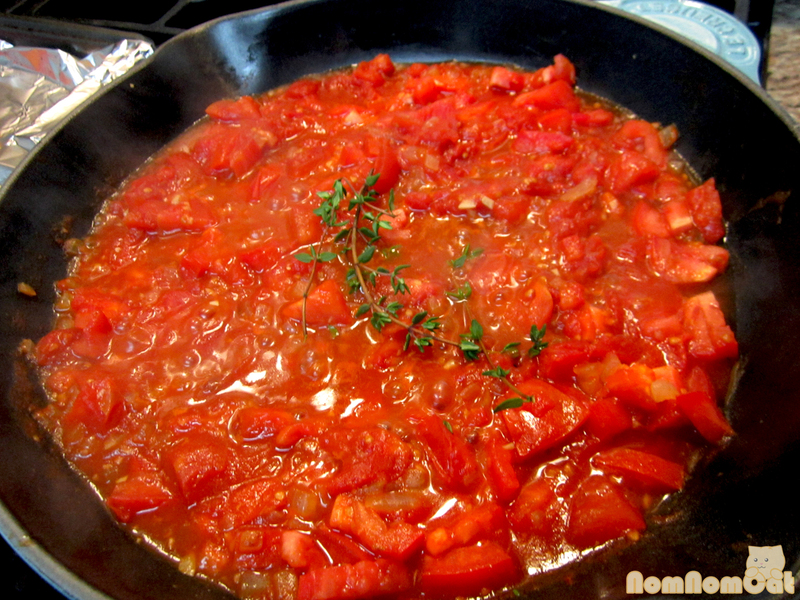 Add the tomatoes and thyme to the skillet with the onions and season with a sprinkling of salt. 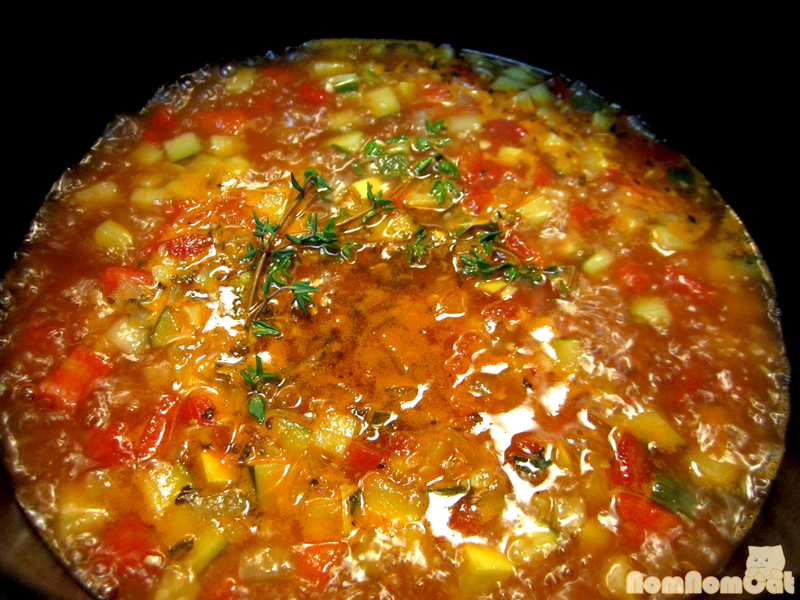 Simmer over low heat to reduce and concentrate the juices until there is very little liquid remaining, about 10-15 minutes. 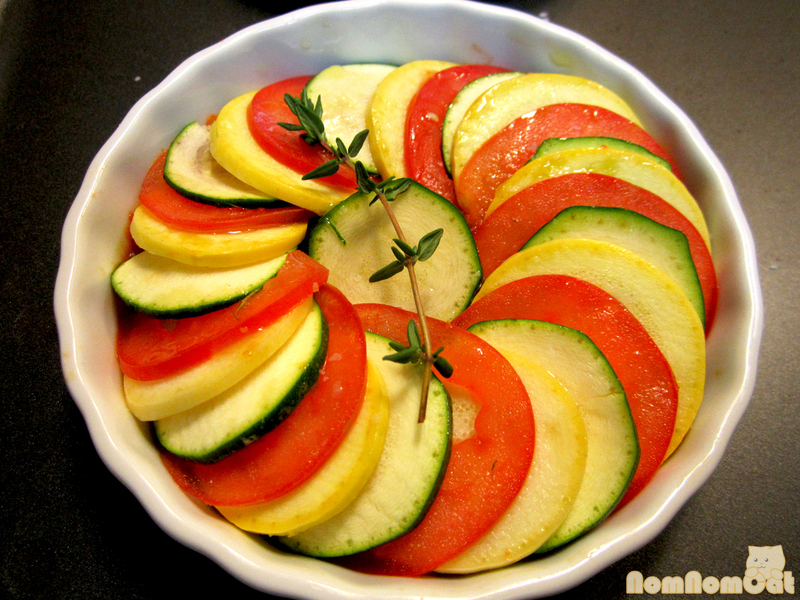 While the sauce is reducing, slice your vegetables and prepare your parchment paper circles. Also, preheat the oven to 375 degrees. By now the peppers should still be warm but manageable. Peel off the skins and chop finely. 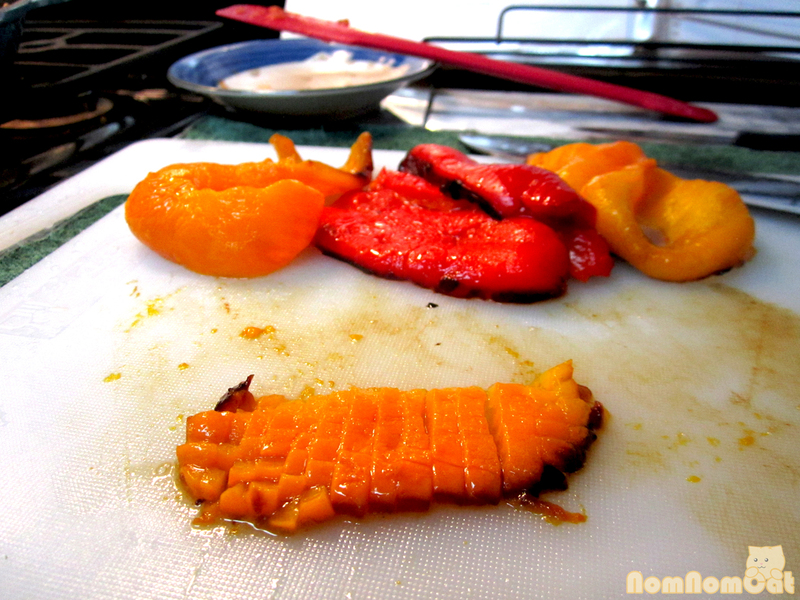 Stir in the chopped roasted bell peppers and remove the thyme (leaves are OK but definitely get rid of the thick stems). 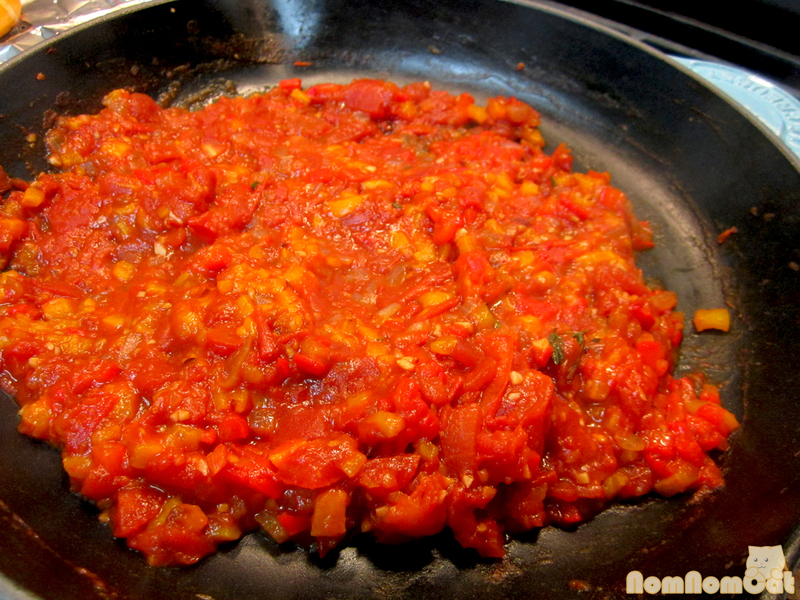 Now your piperade is ready to go! 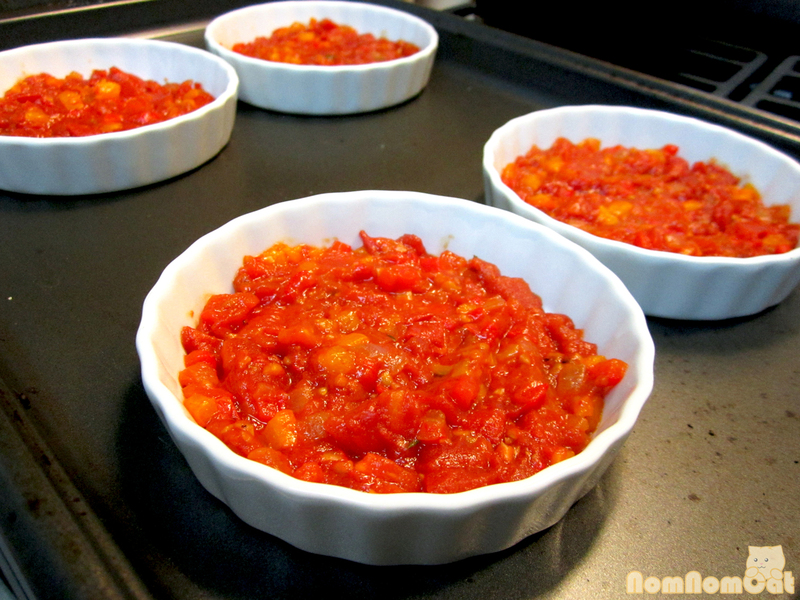 Spread a thin layer of the piperade at the bottom of each baking dish, no more than 1/4 to 1/2 inch thick. Start layering the vegetables, overlapping the slices but leaving just enough of the underlying layer visible for its color. Brush the top with a bit of olive oil to help keep the exposed squash from drying out. Sprinkle with salt and pepper to taste, and lay a sprig or two of fresh thyme on top. 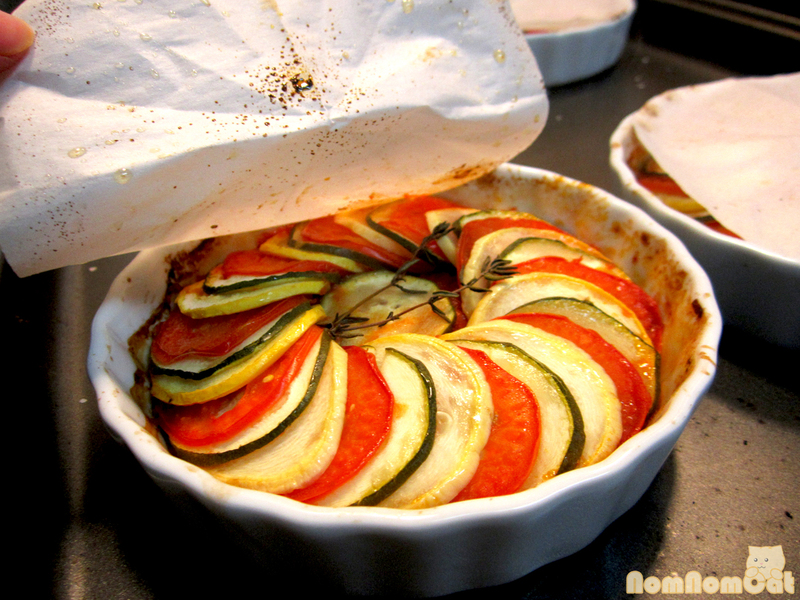 (If you can’t get fresh thyme, dried would be okay too), Top with your pretty parchment circles and press down gently. The light brushing of oil will help the paper “stick” and stay close to the vegetables. Bake in the 375 degree oven for approximately 40 minutes. Start your balsamic reduction. Pour the balsamic vinegar into a small saucepan and bring to a boil. 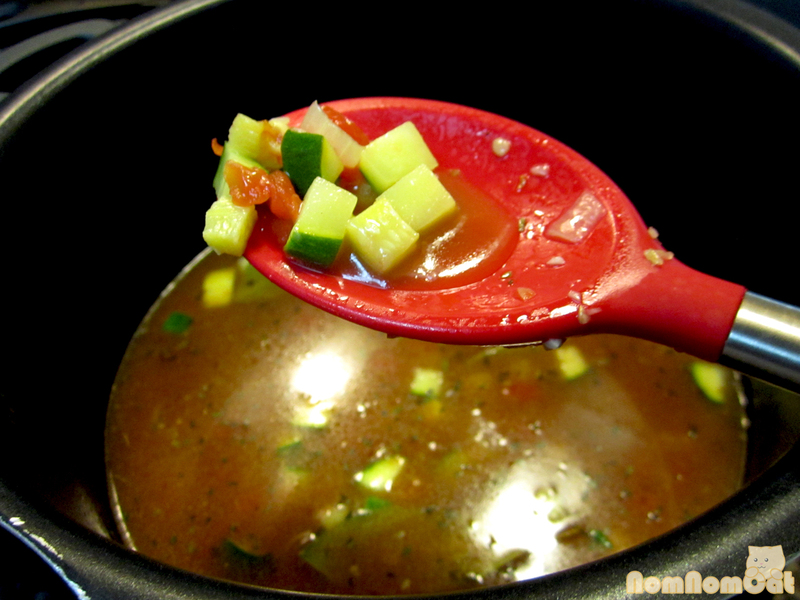 Once you see large bubbles, drop the heat and let simmer for about 15-20 minutes, stirring frequently. As the balsamic reduces, it burns more easily, so just keep a watchful eye on it. It is done when it reaches the consistency of honey and coats the back of a spoon. Set aside to cool. When you are a few minutes away from the oven timer going off, start toasting crostini-sized slices of baguette (about 1/2-inch thick, sliced on a bias). Hot Out of the Oven! Remove the parchment and the (probably burnt) sprig of thyme before serving. Drizzle with the balsamic reduction. Just like last time, this recipe ended up yielding four 5″ diameter ramekins (I used low, fluted creme brulee dishes) plus enough leftover for one 8″ diameter pie dish… about 4-6 servings total. So what do you think? Which is better, 1? It’s finally here – All Hallows’ Eve! One of my favorite holidays of the year! I hope you’ve got your pumpkins carved, costumes donned, candy stocked, and witches’ hats ready. 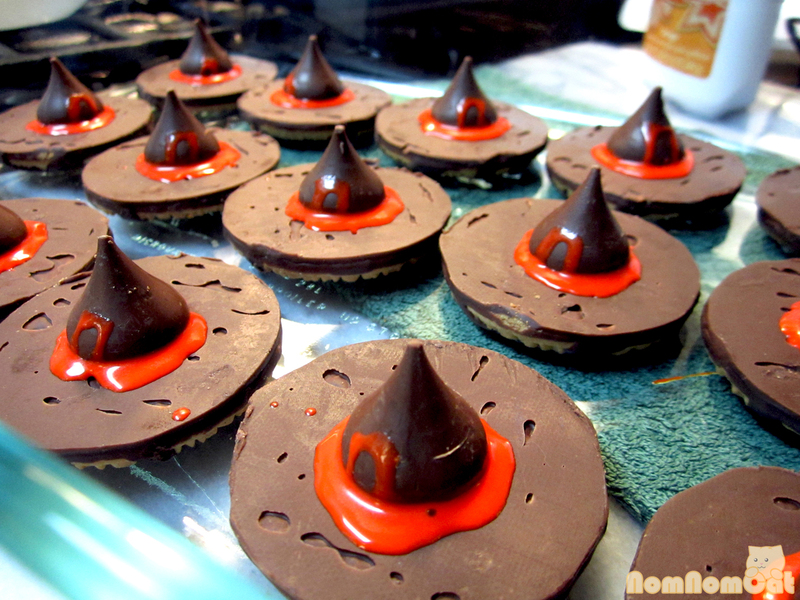 Oh, you don’t have a witch’s hat? Have no fear! These easy-to-assemble snacks are here to save the day! Every holiday, I love to browse the recipes on AllRecipes.com for seasonal ideas that had a fun and festive flair to the party table. I always see all sorts of creative ideas in varying from complicated made-from-scratch confections to boxed cake mix tweaks and skill levels ranging from kid-friendly to formal culinary education recommended. 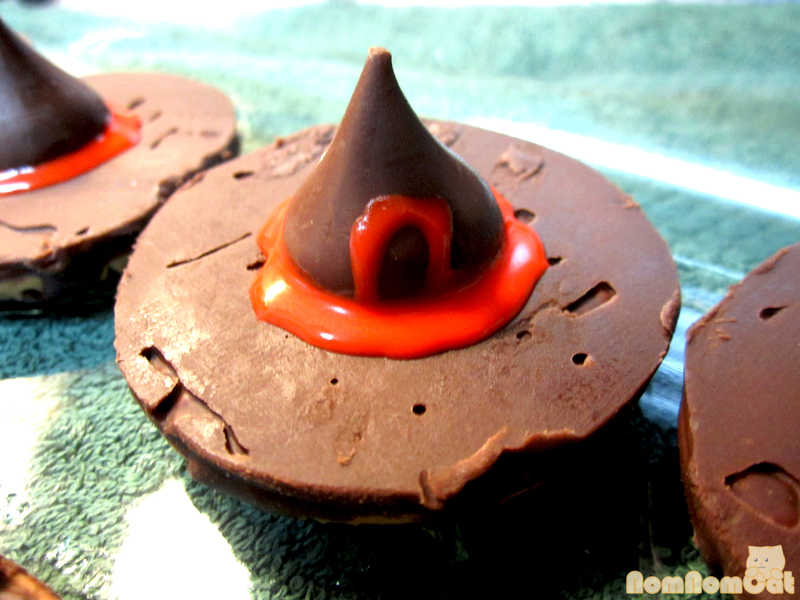 But these witches’ hats are incredibly easy and I thought they are oh so clever! Plus I welcome any excuse to buy a package of Fudge Stripes cookies — the lunchbox holy grail of my childhood. 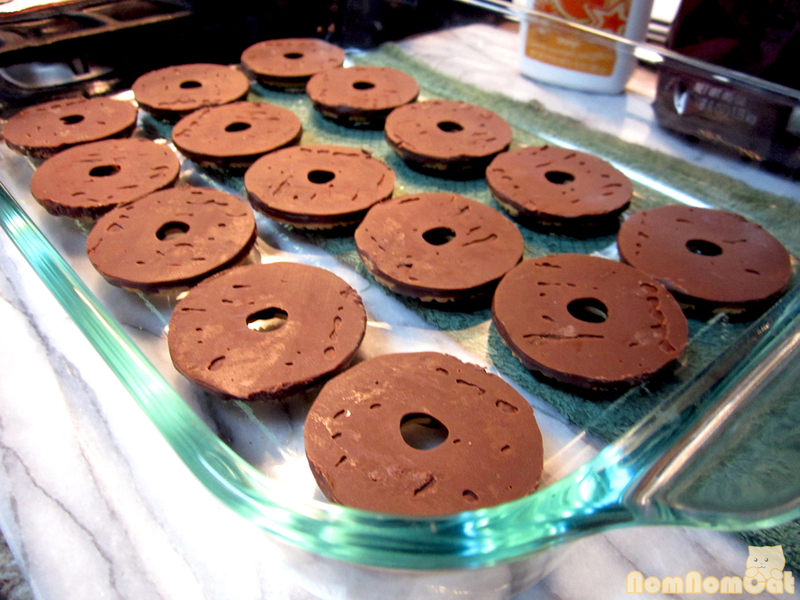 Step 1: Arrange your cookies on a tray or baking sheet striped side down. I put mine in a 9×13 Pyrex dish which came with a lid (the height is perfect to keep the hats intact). 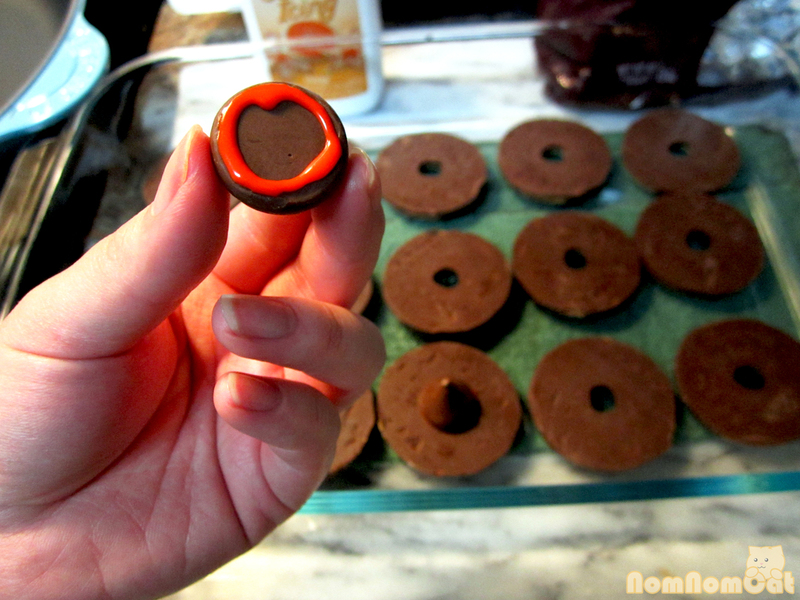 Step 2: if needed, transfer the icing to piping bag with a small round decorating tip (I used a No. 2 round). Pipe around the edges of the bottom of a Kiss. 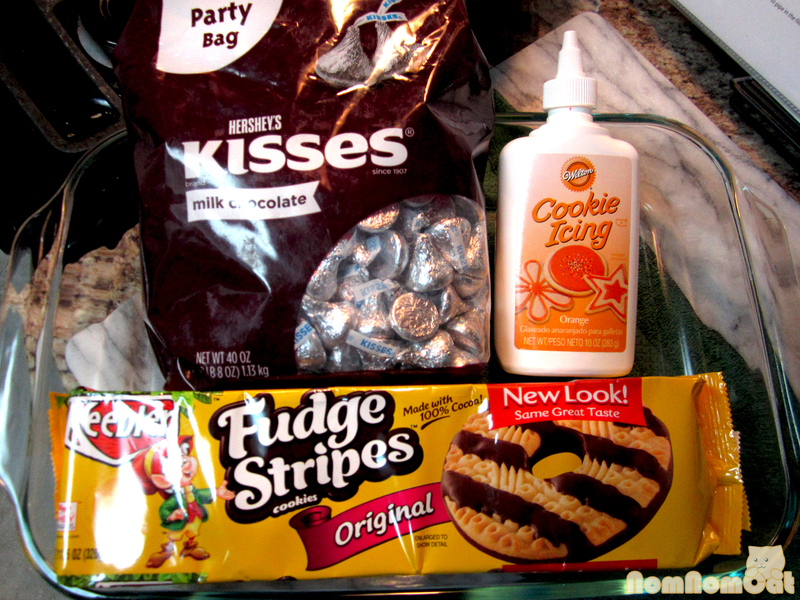 Step 3: Affix the Kiss to the Cookie. The icing will harden and act as an adhesive. If some peeks out on the edges, don’t worry — we’ll decorate over this later. Step 4: Pipe around the base of the Kiss to create a “belt” or “ribbon” on the hat. Get creative. I added little “buckles” as well, though I think they ended up looking a bit pilgrim-like. Let the icing harden. Royal icing (and cookie icing) will take about an hour. Plate up for the party and amaze your guests with the simplicity and innovative vision of assembling these store-bought goodies. Wishing you all a safe and happy Halloween! Welcome to NomNomCat.com! We are a food-loving couple who hopes to document our culinary adventures both in and out of our kitchen. We love to cook, eat, and travel, and we look forward to sharing our stories and recipes with you on this blog. If you have any questions, please do not hesitate to click on Contact Us and drop us a line. Commenting on our posts is also highly encouraged - we love hearing from you! Enter your email address to follow nomnomcat and receive notifications of new posts straight to your email inbox!